Trivago’s website aggregates deals offered by online travel sites (like Expedia, Hotels.com and Amoma) and hotel proprietors for available rooms at a hotel and then highlights one price out of all their advertisers, which the ACCC alleges created an impression it is the best deal. However, in many cases the highlighted price was not the cheapest available at that hotel. “Based on Trivago’s highlighted price display on its website, we allege that consumers may have formed the incorrect impression that Trivago’s highlighted deals were the best price they could get at a particular hotel, when that was not the case. Trivago based its rankings on the highest cost per click it would receive from its advertisers,” ACCC Chair Rod Sims said. “We also allege that by not making genuine room price comparisons, consumers would likely have paid more than they otherwise would have for the same hotel. Further, hotels may have lost potential business as a result of this alleged conduct,” Mr Sims said. The ACCC investigation uncovered data that shows consumers who visited Trivago’s website overwhelmingly clicked on the most prominently displayed offers for each hotel. The ACCC understands that Trivago’s TV advertisements at issue in this case aired over 400,000 times from December 2013. 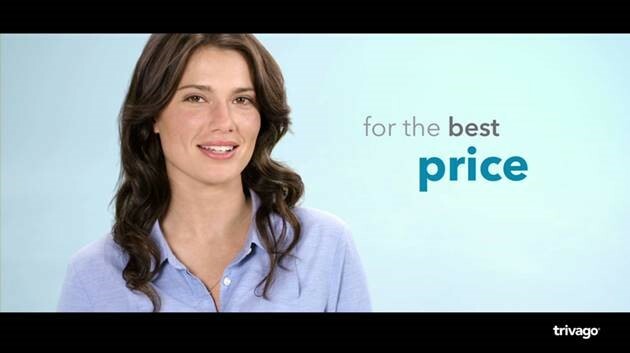 In April 2018 Trivago ceased airing TV ads featuring representations about price. Trivago’s main source of revenue is the cost-per-click (CPC) payments it receives, where advertisers are charged a fee each time a user clicks on one of their offers. 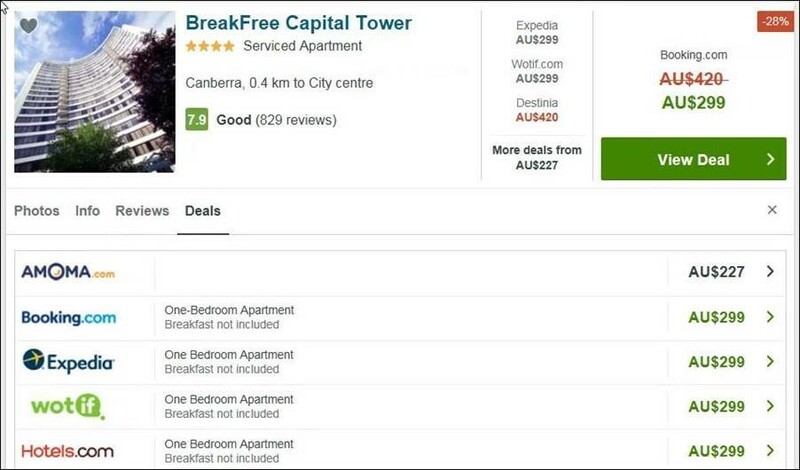 The following is an example of Trivago’s online price display taken on 1 April, 2018. For example, the $299 deal is highlighted below, when a cheaper deal was available if a consumer clicked “More deals” (underneath the offers from other booking sites in the middle panel). A sample of Trivago’s TV advertisement as at 24 December 2017 is below.